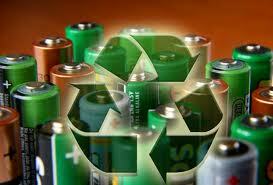 GENEVA : The 18th International Congress for Battery Recycling (ICBR) will be held at the Hotel Dubrovnik Palace, Dubrovnik on the Croation coast from September 11 to 13. The world congress is the 18th of its kind and is being organized by the Swiss firm International Recycling Congress and Marketing (ICM). The event is expected to be attended by over 200 recycling industry experts. The three day event will host presentations on a variety of topics including Worldwide battery legislation The success of Li-ion battery technologies Emerging recycling technologies and processes Future of LEV, EHV, PEHV and EV battery systems Recycling efficiency and experiences spanning multiple countries Safety issues Transportation regulations. A training course on transportation of dangerous goods is also in the agenda of the meet. A sight-seeing tour covering the historic places of importance in Dubrovnik is another highlight of the event.